SpacingSpace seeds 6 inches apart, in rows 24 inches apart. 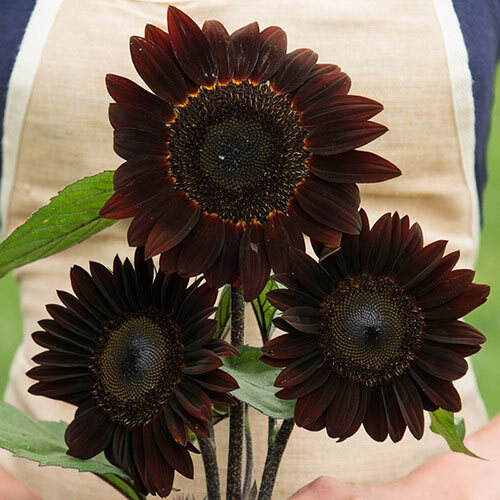 CommentsThese striking, deep burgundy red blooms have a rich, dark center-a dramatic statement in the garden or in a fresh bouquet! Enjoy a multitude of 4-5-inch blooms on this branching variety. Pollen free. Plants grow 5-6 feet tall.